Murray, Kentucky's Deb Warner should know better than anyone the ins and outs of Kentucky Lake -- she has lived here all her life, her dad was a commercial "cat" angler on the lake, she lives on the lake, and has fished it thousands of times. With all these years of experience, Warner does know when her local lake is transitioning, and she says Kentucky Lake is definitely starting its fall transition- right now! "Kentucky Lake's fall transition means fishing can be really good, or hit or miss. The fish are moving. The water levels and temperatures have been yo-yoing," Warner commented. "I love this lake, but at this time of the year it is usually tough, and during our practice we have had bluebird skies and no wind. I've been on fish a couple of times and I've not found them a few times too," Warner went on to say. "Under the circumstances we have right now -- I absolutely believe it's anyone's tournament to win. It isn't that farfetched to believe that there are 21 of us that could get lucky - given the right circumstances," Warner concluded. 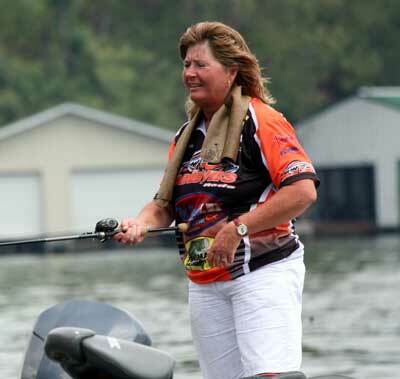 The 2011 LBAA Lady Bass Classic has 42 total competitors, 21 that will compete in the pro division and 21 that will compete in the co-angler division. The competitors earned a berth in the 2011 LBAA Lady Bass Classic by their finishes earned in the four 2011 regular season tournaments. Each regular season finish had an accompanying number of points that anglers accumulated as the year progressed. Competition days for the 2011 LBAA Lady Bass Classic are October 6, 7, and 8. Launch will be at local safe light each morning and competition concludes each day at 3 p.m. All launches and afternoon check-ins will be held at Moors Resort and Marina 570 Moors Road in Gilbertsville, Kentucky. Upon check-in, all anglers will then trailer to the weigh-in, which will be held at the Fisherman's Headquarters, located at 2754 US Highway 641 Benton, KY, 42025. (270) 527-5938. Lady anglers are busy. The East vs West Save The TaTa's Fish Off takes place today as well in Minnesota.